On Monday March 18th, former Lt. 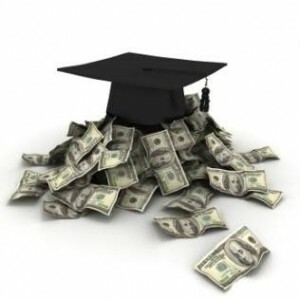 Governor and Democratic gubernatorial candidate Bill Halter announced a proposal called the “Arkansas Promise,” which aims to cover the costs of college tuition for any student who meets the eligibility requirements of the Lottery Scholarship. Under his proposal, Arkansas students who earn a 2.5 high school GPA or a 19 on the ACT will receive a scholarship equal to the amount of the highest in-state tuition, which was $7,332 per year for 30 credit hours in 2012-13 school year. As you may remember from our blog post, on March 1st, Governor Mike Beebe signed into law HB 1295, which reduced the amount of the lottery scholarship in anticipation of a budget shortfall for the program. Halter estimates the Arkansas Promise will cost $50 to $75 million a year and says funds will come from the existing Lottery Scholarship, federal grants, additional private scholarships, and charitable support. He emphasizes that he would not raise taxes to fund the program. In his 26-page plan outlining the Arkansas Promise, Halter describes the current landscape of educational attainment in Arkansas and the negative implications for Arkansas’ economic prospects. Arkansas ranks 49th in the nation in percentage of adults holding a bachelor’s degree, ahead only of West Virginia. Halter asserts that the Arkansas Promise would be a necessary investment in the state’s long-term economic future. To bolster his case, he cites two examples of similar scholarship programs in Arkansas: the El Dorado and Arkadelphia Promise. Both the El Dorado and Arkadelphia Promise provide eligible students with scholarships equal to the highest in-state public tuition. Both programs appear to have led to positive outcomes for both the school district and the community as a whole. 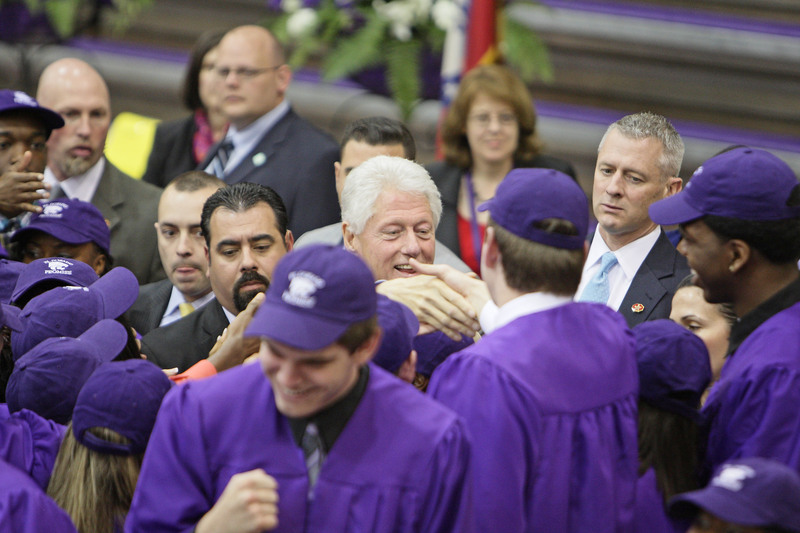 Former President Bill Clinton greets El Dorado High School Seniors on the El Dorado Promise “Signing Day” Ceremony. We at the OEP have looked in particular at the impact of the El Dorado Promise and have found significant positive impacts in both math and reading achievement by the 8th grade, suggesting that students may be more academically prepared for college as a result of the Promise. It’s important to note, however, that the El Dorado Promise is designed differently from the proposed Arkansas Promise. Unlike the Arkansas Promise, the El Dorado Promise does not have any high school GPA or test score requirements, and students can use the scholarship to attend out-of-state higher education institutions. Since it has the same eligibility requirements, the Arkansas Promise is more directly comparable to the Arkadelphia Promise. One concern that may arise is the sustainability of this measure. In a recent study conducted by the Kingsbury Center examining college readiness standards, Arkansas was one of the states profiled in their report. According to the graphic displayed on the report’s web page, not only does Arkansas have more students deemed “college ready” according to our state’s definition of the term (i.e., earning a 19 on the ACT) but we also boast the smallest college readiness achievement gap between our high- and low-poverty students (also measured by ACT performance in math and reading). In all, nearly 100% of the students in the Arkansas sample from low-poverty schools are “on track for scholarship eligibility” as measured by their ACT scores in math and reading. We see even see large numbers of students in high-poverty schools on track for scholarship eligibility (83% received a 19 or above on the ACT reading, and 91% received a 19 or above on the ACT math). Despite the fact that a majority (60%) of the students in Arkansas qualify for a free or reduced-price lunch (a measure of poverty), this still suggests that a large number of students will be eligible for an Arkansas Promise Scholarship under Halter’s plan. It will be interesting to see how this plan progresses. On one side, we can boast our large numbers of college-ready students; however, some may note that of all the states profiled in the Kingsbury Center’s graphic, Arkansas’s “college readiness” standards are among the lowest (our neighboring states of Louisiana, Mississippi, Tennessee, and Missouri are among the other states profiled). It is difficult to say how much the evidence of small place-based scholarships such as the El Dorado Promise and Arkadelphia Promise is directly generalizable to a state-wide version of this program. In a future OEP policy brief, we will describe and review the available evidence on other states’ merit-based scholarships to gain insight on how Halter’s proposed Arkansas Promise may work.